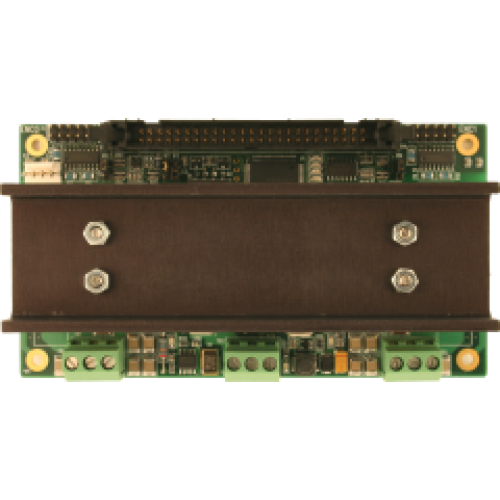 The 7I29 is 2 channel H-bridge motor drivers for the 4I27 or FPGA based motor controller cards. 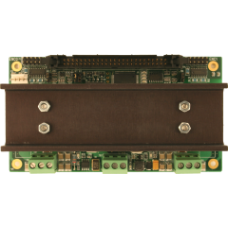 The 7I29 connects to the motor controller card with a 50 conductor flat cable and have screw terminals for motor power and motor connections. Two 7I29's can share a 4 Axis 50 conductor cable to FPGA controller. Encoder and index input connectors are also made available on the 7I29. Encoder inputs can be single ended or differential. The 7I29 has overcurrent and overtemperature protection. The 7I29 is rated at 22.5A continuous per channel at 165V maximum input voltage. Input signals have 2500V RMS isolation from motor power.